Fred. Olsen Cruise Lines are putting faith in their guests by letting them choose the itinerary for Braemar over a 15-night course sailing round-trip from Southampton. Guests will vote for one of two choices every 48 hours resulting in a unique cruise voyage planned through consensus. The first decision will be between Vigo (Spain) or Leixoes (Portugal). The second will be between Malaga (Spain) or Gibraltar. Next it will be between Barcelona or Palamós (both in Spain). The decisions will continue with a choice between Valencia (Spain) or Palma (Mallorca, Balearic Islands) and then Cartagena or Alicante (both in Spain). Guests will then choose between Cadiz (Spain) or Portimão (Portugal) before making the final choice between Ferrol or La Coruna (both in Spain). This mystery cruise departs on 10 October 2015 and prices start from £1,079 per person based on two adults sharing an inside cabin. Fred. Olsen Cruise Lines are also offering several themed cruises too. Braemar will sail an Elvis at 80 itinerary from Harwich on 13 April. Besides the parties, discos, film shows and two award-winning tribute acts on-board this Danish mini-cruise will offer guests the chance to visit Århus, to pay a visit to the only full replica of Presley’s’ Memphis home, ‘Graceland’, outside the US. Prices start from £557 per person based on two adults sharing an inside cabin. 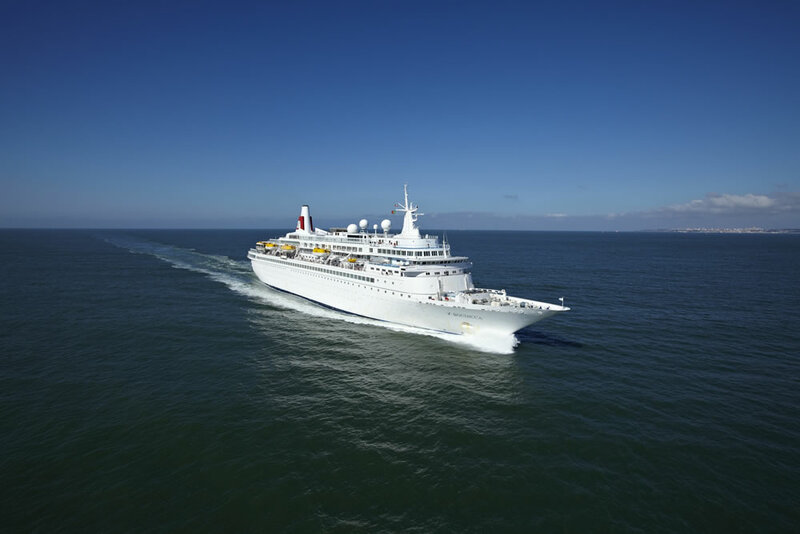 On 16 May Boudicca will sail a 15-night Film Stars and Fast Cars voyage from Dover timed to coincide with both the Cannes Film Festival and the Monaco Grand Prix. Guests can try their hand at ‘star-spotting’ in Cannes and can take a tour to Monaco to see the famous street circuit Grand Prix on race day. Prices start from £1,574 per person based on two adults sharing an inside cabin. On 31 May Balmoral will sail from Southampton on a cruise timed to coincide with another motor sport, this time the Isle of Man TT race. The Superbikes and Scenic Hikes voyage will see Balmoral cruise around the British and Irish isles calling in at St. Peter Port (Guernsey), Tobermory (Scotland), Kirkwall (Orkney Islands), Douglas (Isle of Man) and Dublin (Ireland). Prices start from £899 per person based on two adults sharing an inside cabin. Currently Fred. Olsen Cruise Line are running a free ‘Tips & Tipples’ offer which includes a free upgrade to the ‘all-inclusive’ package on selected drinks (worth £10 per person per night) as well as free gratuities paid for by Fred. Olsen. This offer is valid on sixteen 2015 sailings and runs until 2 March 2015. Terms and conditions apply which can be found on their website.